I hope you don’t mind more cracks, debris and structural damage. I thought I had just one more post of earthquake photographs from 1933, but I’ve found enough material for this week and the next two Mondays. Here’s Reverend and Mrs. Cayne at the Tenth Street refugee tent camp mentioned in last week’s post. You can see the power plant smokestack on First Street behind the tent on the left. 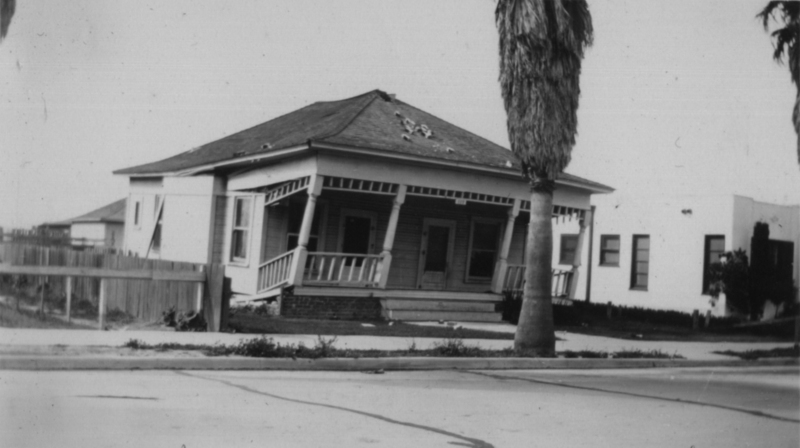 The earthquake shook this Sixth Street off its foundation. 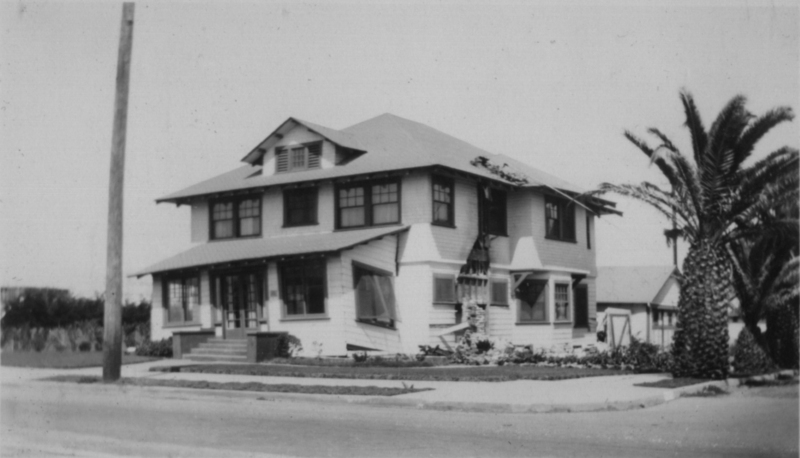 The Lothian House at Ocean Avenue and Second Street sustained serious damage, but it was repaired and still stands today. Those palm trees to the right are much taller now. 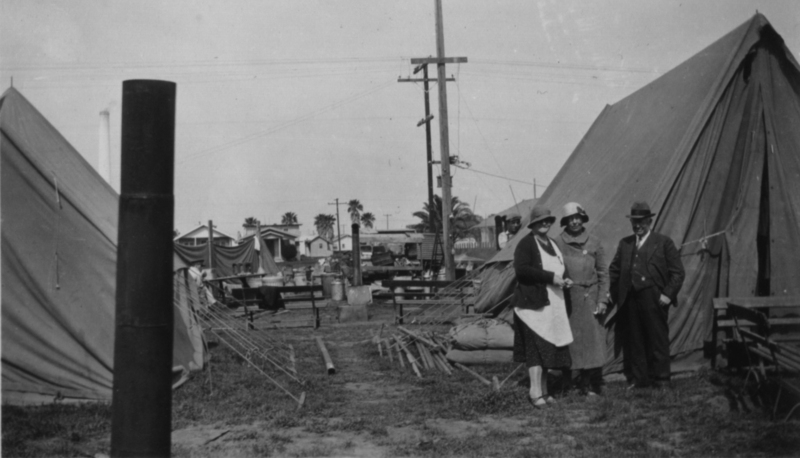 We’ll share more historical pictures and photos of Seal Beach as the year progresses. Be sure to check back each Monday for a new Seal Beach image. This entry was posted in Seal Beach History and tagged 1933, 2nd Street, 6th Street, DWP, Earthquake, Long Beach Earthquake, Ocean Avenue, Seal Beach, Second Street, Sixth Street. Bookmark the permalink.